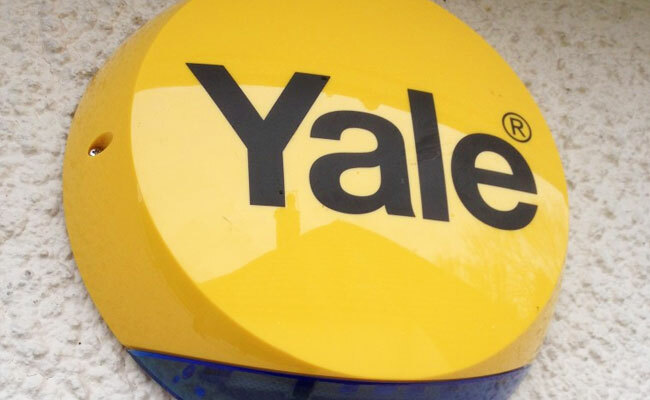 Secure your home with a Yale Alarm system. Fitting your home with an alarm system can be a highly effective deterrent; recent statistics show that 60% of burglars say they would be discouraged from targeting a house if they knew the owners had an alarm installed. Fitting your home with an alarm system can be a highly effective deterrent; recent statistics show that 60% of burglars say they would be discouraged from targeting a house if they knew the owners had an alarm installed. Whether you’re going away on holiday, or simply turning the lights out after a long day at work, a fitted home alarm system can offer complete peace-of-mind, protecting both your belongings, and – most importantly – you and your family. The EasyFit SmartPhone Alarm can be operated with both iPhones and Android smartphones. When the alarm is triggered the PIR camera is able to take a still image of the room that triggered the alarm and send the image directly to your phone. This image will give visual confirmation of what caused the alert in your home. When the alarm is triggered, the siren will sound and you will be alerted by email and push notification(iOS only) on your SmartPhone. PIR sensors detect movement in rooms where they're fitted and will sound the alarm when movement is detected. If you have a pet you can purchase the Pet PIR which won't be triggered by a pet that weighs below 27kg (not suitable for multiple pets). Door and Window contacts can be fitted to the interior of your doors and windows, in the event that they are opened while your alarm is active, the alarm will sound. Power Switch Accessory can be used to switch on lights or appliances when a motion detector is triggered, eg. an upstairs light can be switched on when something triggers a PIR motion detector downstairs or in an out building. 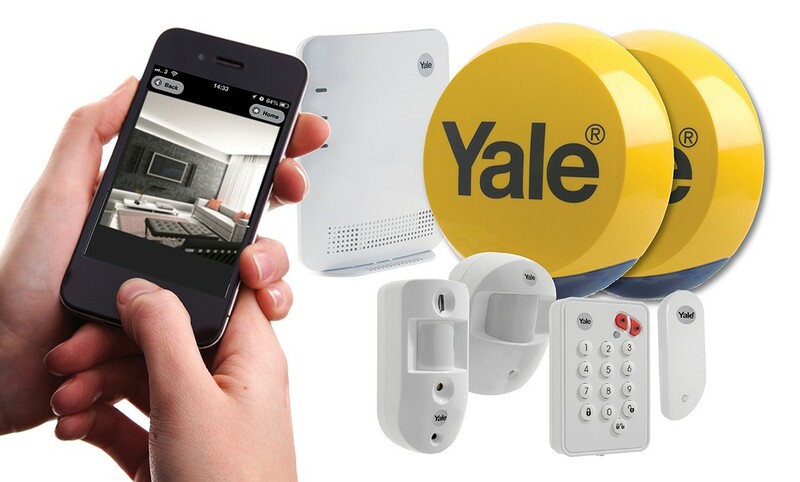 Pairing the alarm with other Yale accessories will allow you to take full control of the Yale Easy Fit Alarm system. 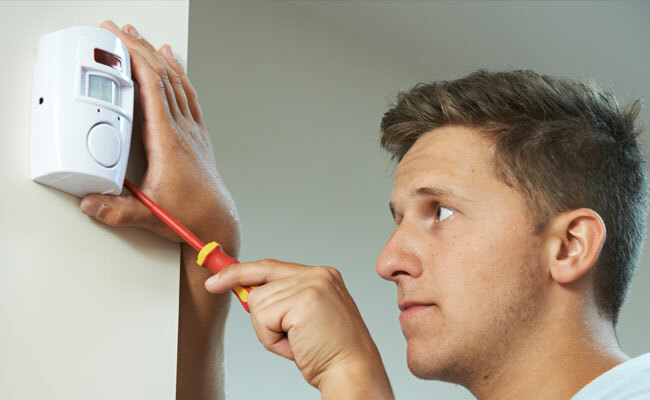 The Easy Fit Standard Alarm is a basic alarm system which is operated by a keypad, making it ideal for a flat, terraced, or semi-detached home. 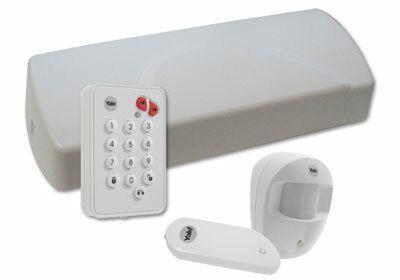 The keypad allows you to set or unset the alarm using an access code. The system is pre-set with a 20 second exit/entry period and will allow the entire property to be either armed or disarmed. 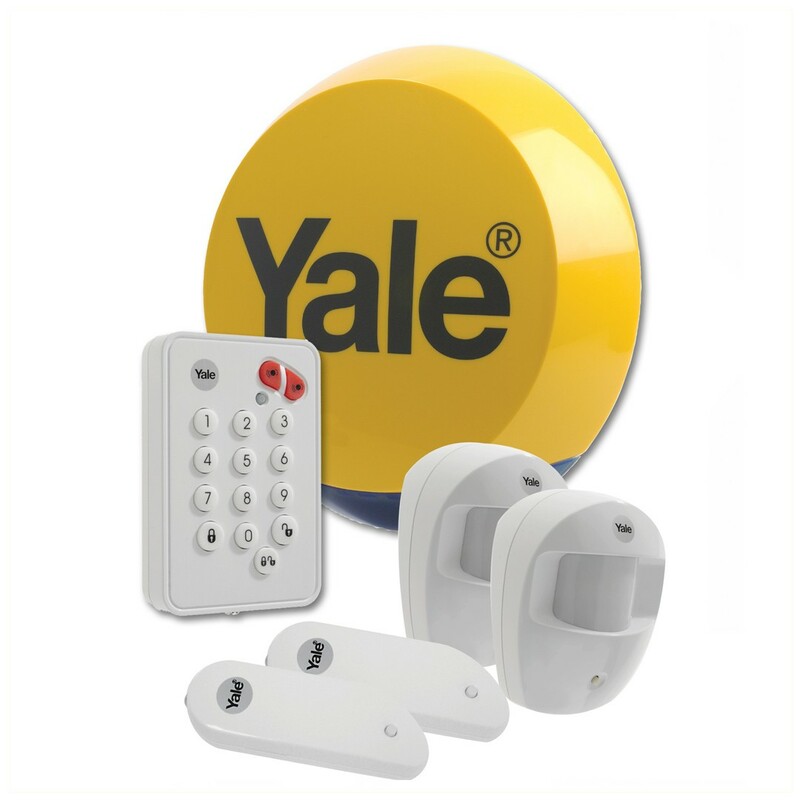 The Yale Apartment Alarm is a keypad operated system ideal for flats, apartments and maisonettes. The keypad enables you to set or unset the alarm via a PIN code. The system is pre-set with a 20 second entry / exit period and will allow the entire property to be either armed or disarmed. When triggered, the loud internal siren will sound and alert others of the intrusion. Which Burglar Alarm Should I Buy?